Born at Kingston, Ontario on 11 May 1931, after receiving his early education in Kingston, he served as a navigator with the Royal Canadian Air Force from 1953 to 1959. He then moved to Manitoba where he obtained his BA and MA from the University of Manitoba in 1961 and 1963, respectively, followed by a PhD from Queen’s University in 1971. He began his 40-year teaching career in the Department of History at St. Paul’s College and later joined the faculty at University College where he enjoyed many vigorous debates in the Senior Common Room. He will be fondly remembered by students and colleagues for his wit, candour, and ever-present cigar. He was an accomplished author specializing in western Canadian political history. He wrote several books, most notably one on the Winnipeg General Strike as well as a prize-winning biography of Manitoba Senator T. A. Crerar. He was a dynamic lecturer who developed very popular courses on the history of Manitoba and Winnipeg. 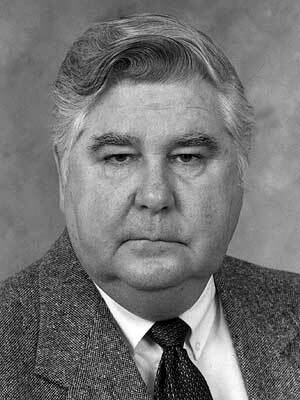 He was an active member of many professional associations, serving as the Chairman of the Historic Sites Advisory Board of Manitoba (1971-1979) and President of the Canadian Historical Association (1990-1991). He was an avid golfer, staunch supporter of the Celtic football club and charter member of The Montcalm Society. He was one of the original organizers of the Pavilion of Scotland at Folklorama, becoming involved through his daughters’ highland dancing. He died at Winnipeg on 26 October 2003. A bursary was established in his memory for graduate students in Canadian History, along with the J. Edgar Rea History Prize for academic excellence in Winnipeg history. Obituary, Winnipeg Free Press, 31 October 2003. We thank Eleanor Stardom for providing additional information used here.